It Started with an Innocent Walk. My point though is that I didn't escape without getting a ton of nasty welts all over my arms and legs, my poor pups with their short hair didn't stand a chance either! 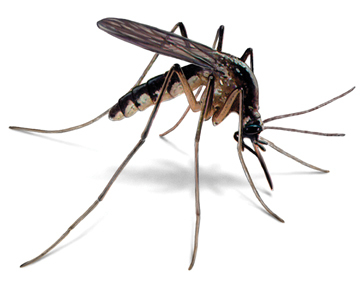 On that note, mosquitoes are a primary cause of heartworm in dogs so please make sure and protect you pet. Both my pups are up to date on all their vaccines and regularly treated for fleas/ticks with Activyl, and regular heartworm prevention tablets. If you have active outdoor pups its important to protect them from diseases such as parvo and parasites so that they can live a long a healthy life and not rack up a bunch of expensive vet bills for things that are preventable. But neither of these products repel mosquitoes! Bummer... So now I'm researching dog friendly mosquito repellents. It seems that their are a couple on the market - I'm not sure if other people don't have this problem, or just don't care but it seems to me that bully breeds would be particularly prone to getting bitten. Unfortunately some "dog friendly" products are for facial use only, you aren't supposed to apply it to the rest of the body because it is toxic...yes I repeat TOXIC. So why would I put it on my dog again? After a search at our local pet stores, Cabella's, and REI I couldn't find what I was looking for. I could make my own repellent but it involves a bunch of herbal essences and of course the recipes only require a little bit so I would be left with a bunch of essences and oils that would last for eternity, on top of that they're expensive. Better to just buy it, that's my opinion though. Here are a few actual dog friendly, all natural products that you can apply all over your animal. Dante's short coat doesn't protect from insect bites. Only Natural Pet Herbal Defense Spray $13.99 - Ingredients: SD40 Alcohol (corn derived), Spring Water, Essential oils of organic lemongrass, citronella, patchouli, clove, neem oil, pennyroyal, catnip, and soybean oil. All Terrain Pet Herbal Armor Natural Insect Repellent Spray $9.50 - Ingredients: oil of soybean 11.5%, oil of citronella 10.0%, oil of peppermint 2.0%, oil of cedar 1.50%, oil of lemongrass 1.00%, oil of geranium 0.05%, inactive ingredients: (73.95%): water, glyceryl stearate, beeswax, vegetable glycerin, xanthan gum, potassium sorbate, and citric acid. Other pet parents suggest rubbing Tea Tree oil into your dogs coat, and Neem oil used in the same way. One note about Tea Tree Oil - According to PetMD "Used in small concentrations of .1% 1%, tea tree oil is tolerated and safe for cats and dogs....Unfortunately in high doses Tea Tree oil can be toxic to pets." If you try anything or have any suggestions please let me know! My pups would appreciate the suggestions, I think we're going to start with the Burt's Bees Repellent and that's just because I like their other products. I'll let you know if it works! I have been so worried about this. We are about to go camping next weekend and I happen to have a lot of essential oils (I use them for so many things - believe me, essential oils can replace a lot of your medicine cabinet) so my plan is to make a mosquito repellent from good essential oils. Here is a link to another blog where I got some good ideas. You might be able to find something here that you already have at home. I'm hoping the repellent I make works. I know last year the mosquitos were so bad that even deet (we didn't have Barry at the time) wasn't cutting it. 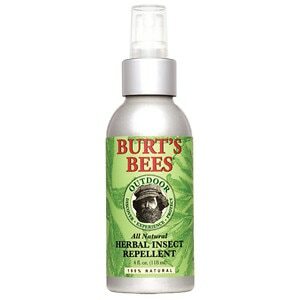 We won't be using deet this year because we have Barry so I'm hoping the natural stuff is the way to go! Awesome page! Thank you! We have an all natural store nearby that I'm sure would have most of the ingredients I would need. :-) I like keeping my dogs on all natural products. Let me know if the repellent you make works and which one, I'll post back again after i've tried something.